Six-part web series that presents an alternate take on the origins of Judge Dredd's arch-nemesis - a demonic creature known as Judge Death that sees life itself as a crime. Can Dredd survive a clash with such foe and save his niece? 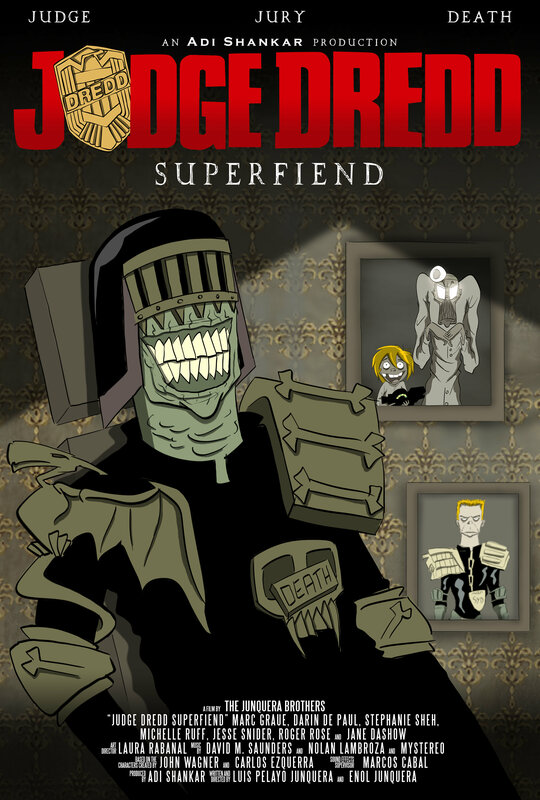 I suggest anyone and everyone to go watch this who is a fan of the Dredd universe. I am not going to say anything except the art style is dark and the feel itself is pretty dismal. Love the art style, pacing, story, acting, and the emotion. Really only thing I didn't like was how it is a mini series and a small part with Judge Dredd, but hey it is true to his character. As noted below this story is in the universe of the "Dredd" that came out in 2012 and, personally, I would love to see it intertwine with any spin off movie. This series you really get to see more of Mega City 1, which is appreciated. Anyway go watch everyone and enjoy this mini series it is definitely worth the time. This is definitely an absurd piece of fun, and sometimes reminds me of Aeon Flux. It's got some very exaggerated animation, but the quality of it is on a much lower level than the old MTV show. It's a mish-mash of different styles, and none of them are really appealing. The 3D is especially an eyesore, and I feel like I would have enjoyed this much more if it wasn't such a patchwork. The story makes absolutely no sense, and is more of a one-off experimental comic book sort of affair, but it still manages to be entertaining and is what pulls the score up for me. This is in no way supposed to be canon, and it takes that to heart. It's weird as hell. I'd give it a go if you want something different, but if poorly drawn blood and guts isn't your thing, then maybe look elsewhere for your fill.